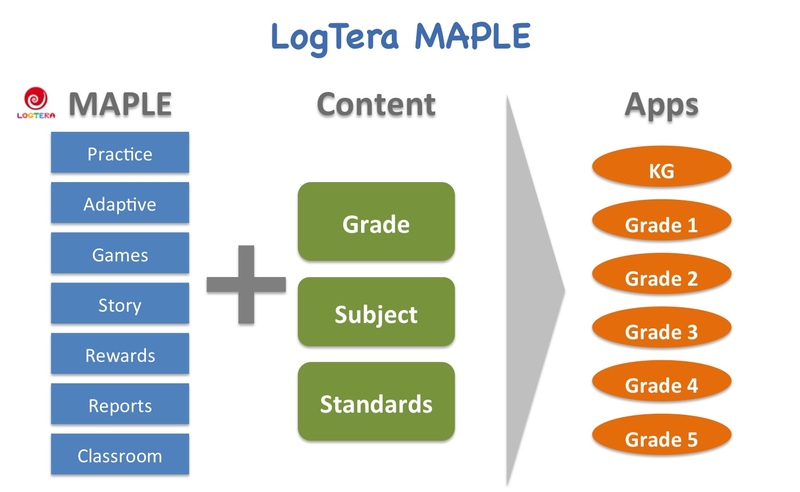 LogTera MAPLE enables rapid deployment of gamified education content on mobile devices. LogTera MAPLE (Mobile Adaptive Platform for Learning and Education) is the next generation software framework enabling rapid deployment of interactive educational content on mobile device applications. LogTera has been developing and building upon this framework over the past year and has released over ten applications built on this platform for iOS devices. Applications developed using MAPLE have been downloaded and are in use by hundreds of thousands of children worldwide. Further development is ongoing to support other devices on MAPLE. MAPLE has extensive interactive templates for broad question categories and storyboards enabling content customization and rapid deployment.